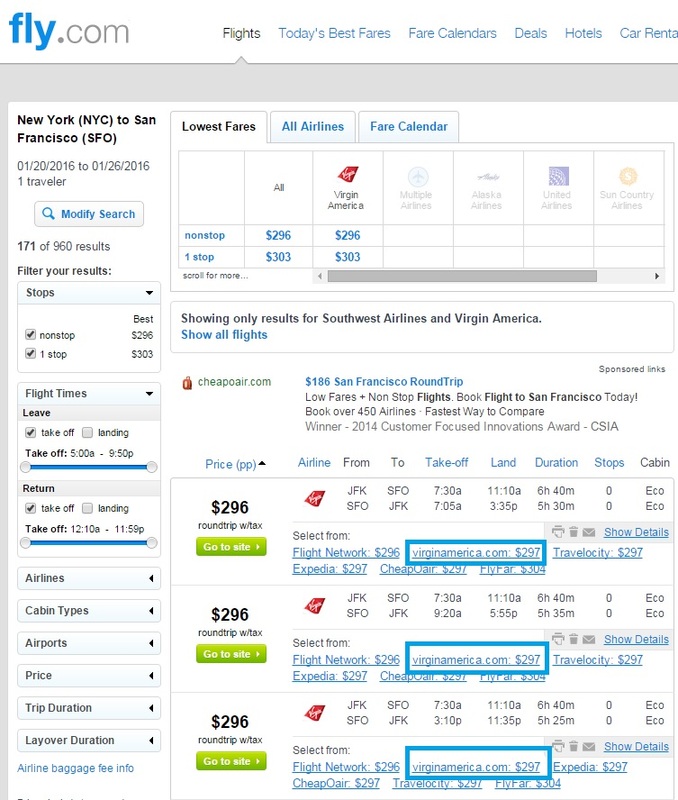 For example, flights between New York City and San Francisco are regularly $297 (roundtrip, including tax), but are now just $223 after entering the promotion code. 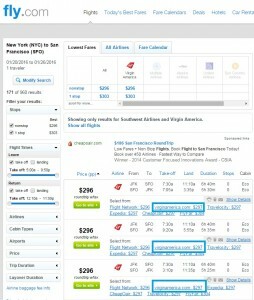 To book, search on Fly.com for your desired flight and click the VirginAmerica.com booking link. Then, enter promotion code CYBERRIDE. Screenshots are provided below. 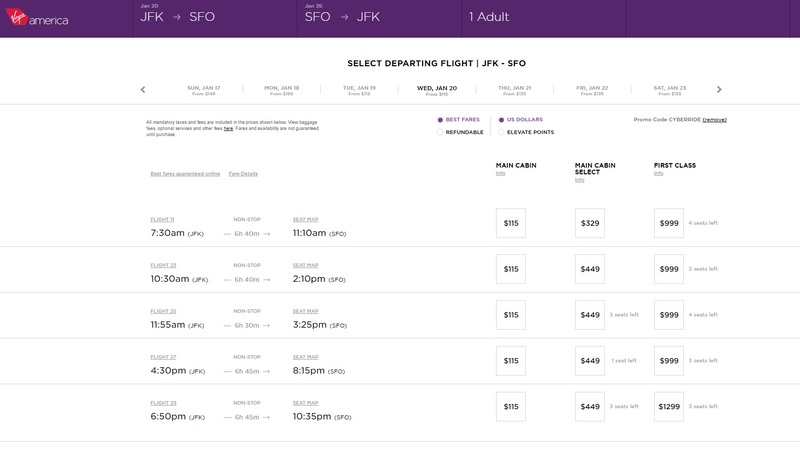 For more information, see Virgin America’s Cyber Monday sale page. 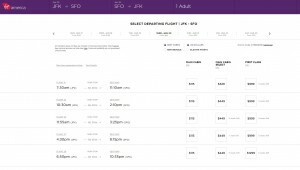 Note: Virgin America charges $25 for the first checked bag. Check our baggage fee chart for more information.